Walsh will read from his critically acclaimed novel My Sunshine Away and then be available for signing books. At 4 p.m. in G. T. Madison Hall 223, he will present a craft talk aimed at English creative writing majors. All events will be open to the public. 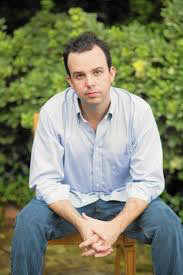 Born and raised in Baton Rouge, Walsh won the Pat Conroy Book Prize for Southern Fiction for his novel. His stories and essays have appeared in The New York Times, The Southern Review, American Short Fiction, Epoch, and Greensboro Review. His short stories have also been anthologized in Best New American Voices, Bar Stories, Best of the Net, and Louisiana in Words. He directs the Creative Writing Workshop MFA program at the University of New Orleans and serves as the director for The Yokshop Writers Conference in Oxford, Mississippi. For more information, call the English Department office at 318.257.2718 or email Genaro Ky Ly Smith at gsmith@latech.edu or Veronica Schuder at schuder@latech.edu.